Psychiatric advance directives (PADs) may include documenting advance instructions (AIs) and/or designating health care agents (HCAs). Laws authorizing PADs have proliferated in the past decade, but there has been little research regarding perceptions of barriers to the implementation of PADs among groups of mental health professionals. A total of N=591 mental health professionals (psychiatrists, psychologists, and social workers) completed a survey regarding their perceptions of potential barriers to the effective implementation of PADs. Across the three professional groups barriers related to operational features of the work environment (e.g., lack of communication between staff, lack of access to the document) were reported at a higher rate than clinical barriers (e.g., inappropriate treatment requests, consumers’ desire to change their mind about treatment during crises). However, psychiatrists were more likely to report clinical barriers to implementation than both psychologists and social workers. 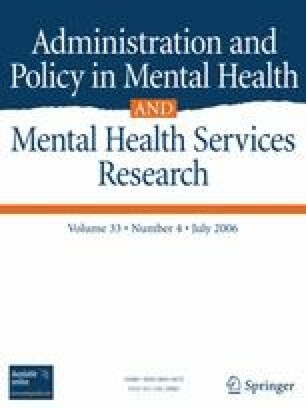 In multivariable analyses, legal defensiveness, employment in public sector mental health services, and a belief that treatment refusals will outweigh the benefits of PADs were associated with more perceived barriers, whereas age and endorsing positive perceptions of PADs were associated with fewer perceived barriers. Psychiatrists, psychologists and social workers tend to perceive significant potential barriers to PADs, related to operational aspects of these professionals’ work environment as well as certain clinical features of PADs for persons with severe mental illness. Additionally, legal defensiveness and general endorsement of PADs appear to shape perceptions of barriers to the effective implementation of PADs. This work was supported by the Greenwall and MacArthur Foundations, a National Research Service Award Postdoctoral Traineeship from the NIMH to Drs. Van Dorn and Kim and NIMH K02 to Dr. Swanson.